Just search our huge online movie library ... ... by entering titles or scanning DVD / Blu-ray barcodes. 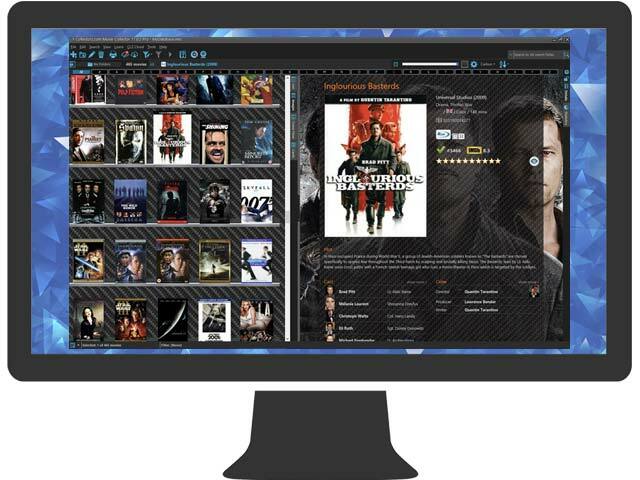 Movie Connect is subscription software, costing USD $29.95 per year. TIP: Visit our CLZ Shop for a bundle deal with the CLZ Movies mobile app. A Movie Collector License costs USD $59.95 and includes a 1-year Service Plan. 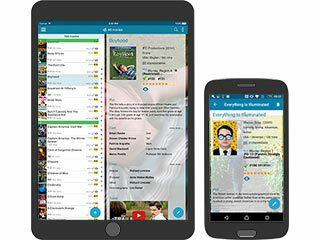 Synchronize your movie database between the desktop software, mobile apps and the Connect web-app. View your list online and share it with friends & family. Always have an online backup of your movie database. The iPhone and iPad apps are somewhat limited in features compared to the version for Mac. The version for Mac computer/laptop is a great software for your movie library. I used to use Microsoft Word for making my movie list. Needless to say, I was so happy when I found this program for my Mac. It's super easy to use and adding movies is a snap. They are constantly making improvements to the program so if there is something about it you don't like right now submit your suggestion and they will work on improving it. I also have the iPad and iphone versions of this program it's very handy in the event I'm not at home or have access to my laptop when I need to see if I have a movie in my library. I would recommend this program to anybody who has a large movie library that they need to catalog. So Far This Is Great! I have been waiting for this idea for over 3 years. I have over 600 movies and I often share them with my co-workers. I was tired of writing down the movie titles and trying my best to remember my new purchases along with some older purchases. I kept telling my co-workers that one day I would create an MS Access database and list all my movies. That was two years ago and at that time it was still incomplete. Finally a dream came true. Collectorz create the very software I needed for my crazy hobby. Collectorz made the process of entering all my movies seamless and quick. Not only can I categorize, print and enter my movies in an expedient manner, my co-workers can now browse my movie library online. I have not finished adding my movies, but I must tell you, it has not only been fun using the barcode scanner, but entering the movie titles manually has also been rewarding. Trust me when I say this software is excellent and well worth the price of convenience. I compared other products with yours in my research before I purchased and obtained recommendations from individuals I know who highly recommended your product. It does appear to do exactly what I needed for my large DVD collection, almost 800 as we speak.